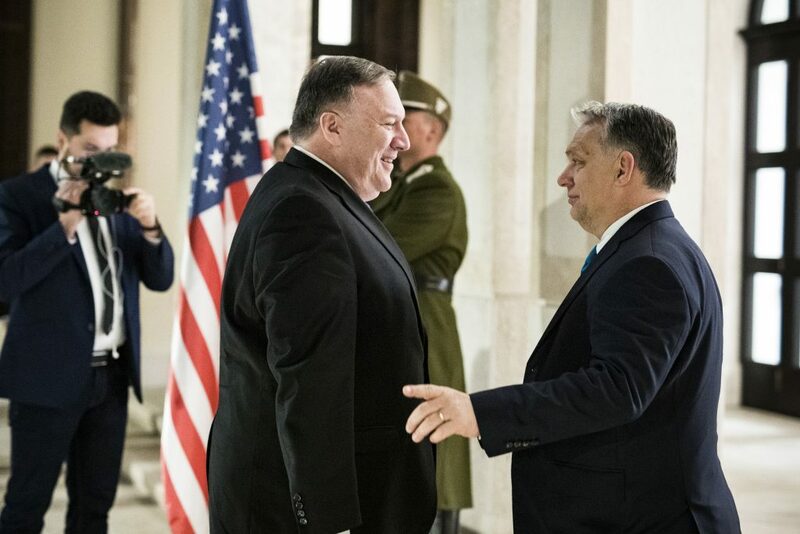 Hungary and the United States have started to rebuild their political ties, the Hungarian foreign minister said after meeting US Secretary of State Mike Pompeo in Budapest. 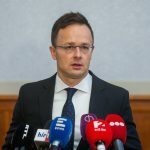 Péter Szijjártó told a joint press conference that ties had revolved around the pillars of the economy and defense, but ever since the Republican administration assumed power, political relations had started to improve rapidly. The secretary of state’s visit to Hungary is a testament to this trend, he said. Szijjártó said the Hungarian government and the Trump administration shared an identical or very similar approach to various political and international issues. Both governments pursue patriotic policies with priority given to national interests, he added. They both believe that one of the basic tasks of the state is to guarantee the security of its citizens, the minister said. This is why the US and Hungary have cooperated in fighting against the United Nations Global Migration Compact, he added. Both countries are determined to protect Christian heritage and Christian communities worldwide, and they are both active in international organisations to promote the fair treatment of Israel, he noted. 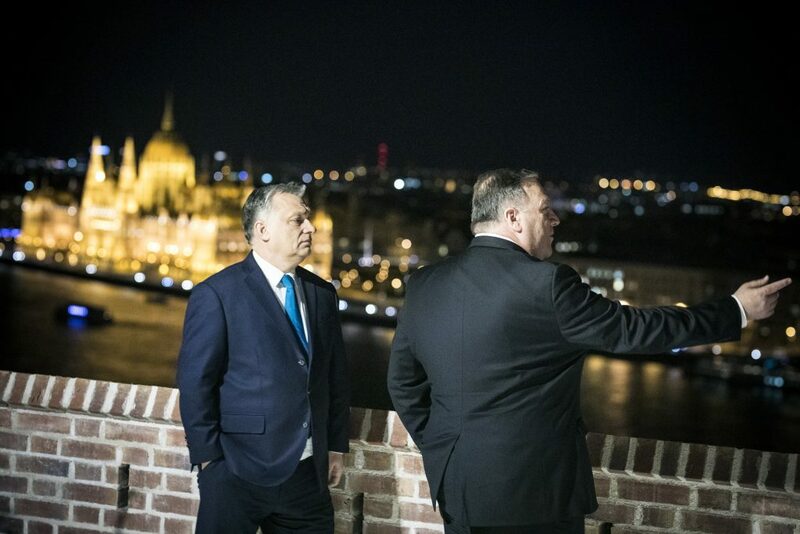 Hungary, he said, had always based its foreign policy on mutual respect and it considered it a matter of principle to veto all European decisions that criticised sovereign US foreign policy decisions. “Our foreign policy enables us to be honest,” he said. It has enabled the discussion of such issues as relations with Russia, the growing economic influence of China and Hungarian-Ukrainian relations, he added. “The lives of 150,000 ethnic Hungarians in western Ukraine are important to Hungary and therefore Hungary cannot consider the situation in Ukraine purely as a geopolitical matter,” he said. He noted that Hungary’s share in EU-China trade amounted to 1.2 percent. He added that it would be “hypocritical to criticise Hungary” for maintaining close links to Russia while “deals are being brokered” between western Europe and Russia. Szijjártó said a new bilateral defence cooperation agreement that updated the one signed between the US and Hungary in 1997 was a response to novel security challenges. Relevant talks have been concluded, he said, adding that the draft agreement will be submitted to the defence committee of Hungary’s parliament next week. Szijjártó said Hungary was a reliable defence and military ally. Important talks have been held on acquisitions, and the defence committee will be contacted in the near future in connection with talks about the intermediate-range air defence system, he said. The foreign minister said he had asked Pompeo’s help to urge ExxonMobil to come to a decision as soon as possible on extracting gas in Romania, allowing Hungary to move forward in diversifying its gas purchases. The minister noted that the US is Hungary’s second biggest investor, with 1,700 US companies employing 105,000 Hungarians. Szijjártó said Hungary’s cooperation with China and Russia did not have a bearing on its credibility as a NATO ally. He said criticism of Hungary due to its ties with Russia was “enormous hypocrisy”, adding that it was not Hungarian or Central European energy companies that were cooperating with Gazprom to build a gas pipeline. Central Europe, he noted, is dependent on Russia for its energy supplies. “We have done everything we can” to buy gas from other sources, he added. While the US had kept its distance from central Europe, the vacuum had been filled by its competitors, Pompeo said, adding that this was “unacceptable”. Commenting on the situation in Ukraine, he said Russian President Vladimir Putin must not be allowed “to drive a wedge between our friends and NATO”. The secretary of state also criticised China and expressed wariness of its attempts to create a bridgehead in Europe. “Shaking hands” with China results in serious economic and political dependence, he said. Russia and China do not share the endeavours of free countries, he added. 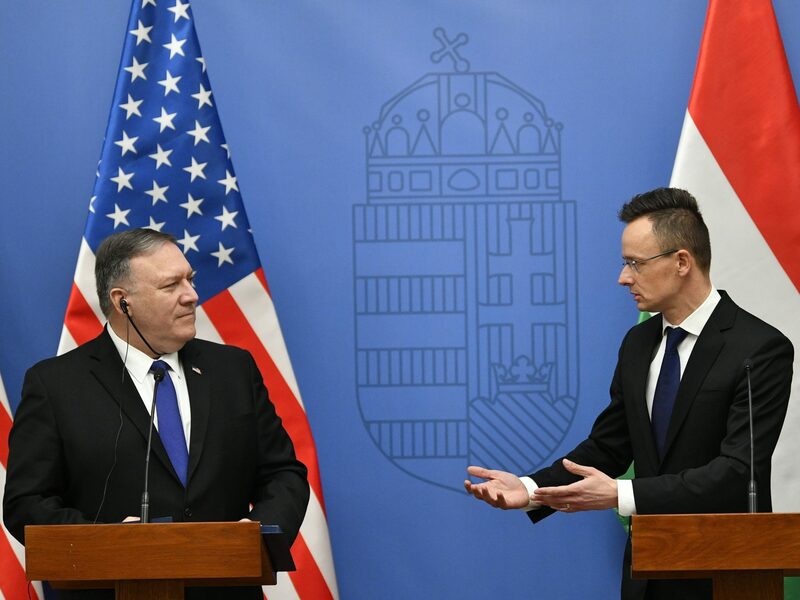 Pompeo announced a scholarship scheme for Hungarian secondary school students, but increased support would also go towards fighting corruption, he added. He said the US wanted to strengthen police cooperation, adding that there were plans to set up mentoring and training programmes. Commenting on the issue of diversifying Hungary’s gas acquisition, he said this was a matter of national security. Every European country aims to secure alternative energy resources, he added. The Hungarian Helsinki Committee and the Hungarian Civil Liberties Union (TASZ) said in a joint statement.”Concerns regarding the rule of law and the situation of NGOs were highlighted at the meeting,” the statement said. TASZ managing director Stefánia Kapronczay highlighted “the importance of an independent and diverse press,” while K-Monitor director Sándor Léderer presented a report on “the situation in Hungary in respect of corruption”. The NGOs said the fact that Pompeo had met them and had expressed an interest in their opinions demonstrated that top US officials were dedicated to protecting the values of constitutionality and the role of civil society, even when it came to relations with allies.